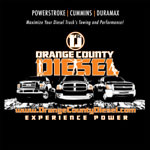 This is an Authentic Orange County Diesel T-Shirt made from 100% soft cotton. 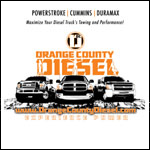 10% of your Authentic Orange County Diesel T-Shirt Apparel purchase is proudly donated to the Childrens Cancer Research Fund. I need to order a few more of these. My girlfriend stole mine and refuses to give it back.